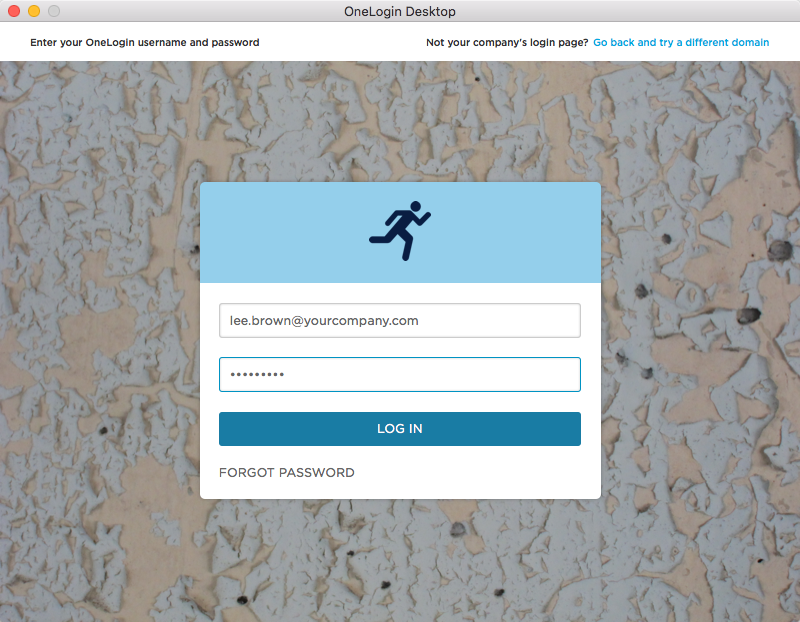 OneLogin Desktop for Mac enables you to log into your Mac using your OneLogin credentials and use a certificate installed in your keychain to provide authentication when you access your OneLogin portal page and SSO-enabled apps. In other words, you can log in once to your Mac and go straight to your OneLogin portal or your SSO-enabled apps without having to provide credentials again. 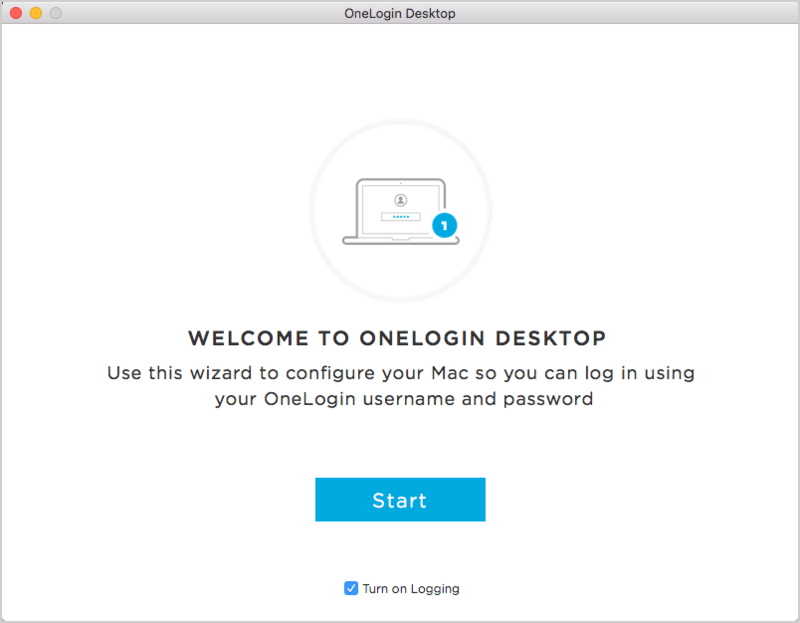 To get started with OneLogin Desktop, you must run an installer on your Mac that automatically enables an existing local user account to use your OneLogin credentials or creates a new user account that can use them. For administrator documentation, see Managing Macs Using OneLogin Desktop. A new Finder window opens, displaying the OneLogin app. When the installer launches, you'll see the Let's Prepare for Installation page. 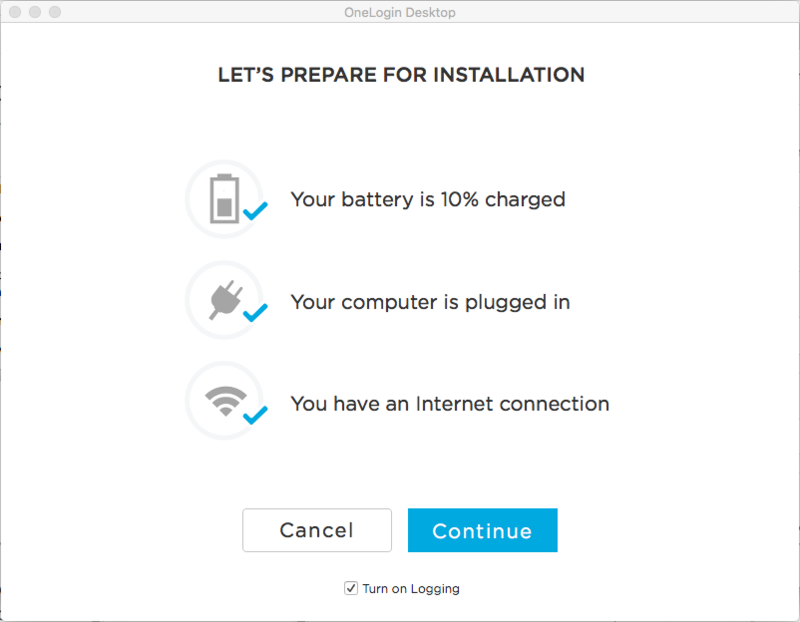 If you meet all of the requirements of installation--your battery is charged at least 10% or your computer is plugged in, and you are connected to the internet--you can click the Continue button. If one of these requirements is not met, a yellow exclamation point will display next to the unmet requirement. If you are not connected to the internet or you don't have sufficient power (your computer isn't plugged in or you don't have at least 10% battery life), then the Continue button will be grayed out. You must remedy the missing requirement. You do not have to cancel and rerun the installer if you can remedy the missing requirement while the installer is running. Note. The power requirement exists to protect you from an incomplete installation. Note. Logging is turned on by default. You can turn it off at any time by clearing the Turn on Logging checkbox, but logging can help your admin if you run into issues during your installation. At the helper tool prompt, provide the password of the admin account that you are logged in as and click Install Helper. Select an existing OneLogin Desktop account, in which case you are simply upgrading OneLogin Desktop for that account. 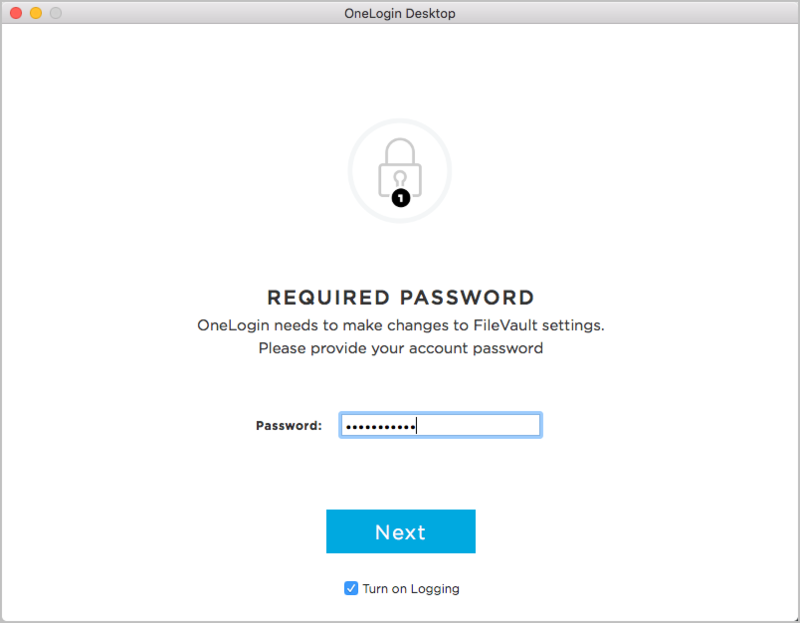 Select an existing user account on your Mac, in which case you are enabling that account for OneLogin Desktop for the first time. 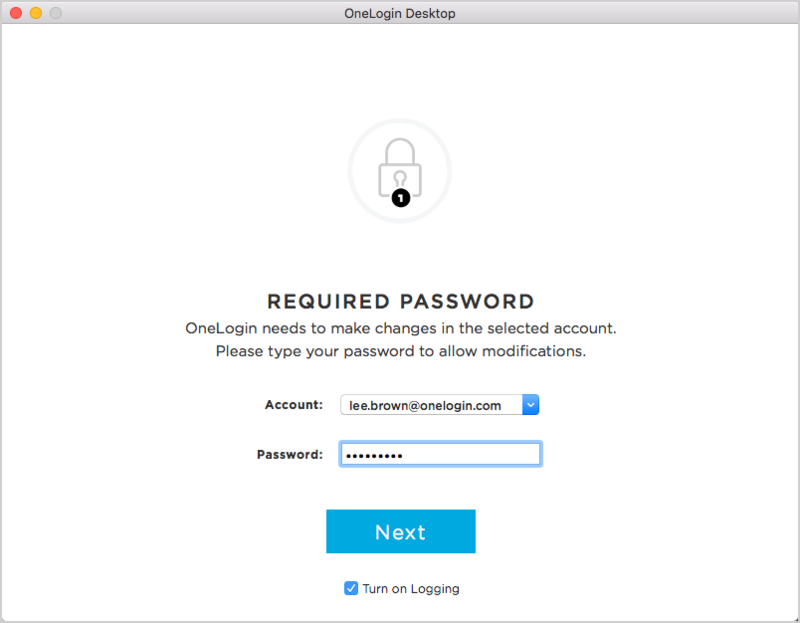 If you already have a OneLogin Desktop account on your Mac, you won't be able to create a new account, but you will be able to enable a different existing account as your OneLogin Desktop account. Important! If you are enabling an existing account, it cannot use iCloud keychain. If you want to enable OneLogin Desktop for an account that uses iCloud keychain, you must exit the installer and disable iCloud keychain before rerunning the installer. 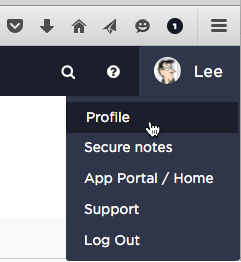 Enter the password of the user account that you are enabling for OneLogin Desktop, and click Next. When the installer displays "You are all set up," click Done. If you already have a OneLogin Desktop account on your Mac, and it was installed using OneLogin Desktop for Mac 2.0.x, and your admin accepted the Automatically push new updates default option on the Devices > OneLogin Desktop page, then your user account will be updated to the new version silently. 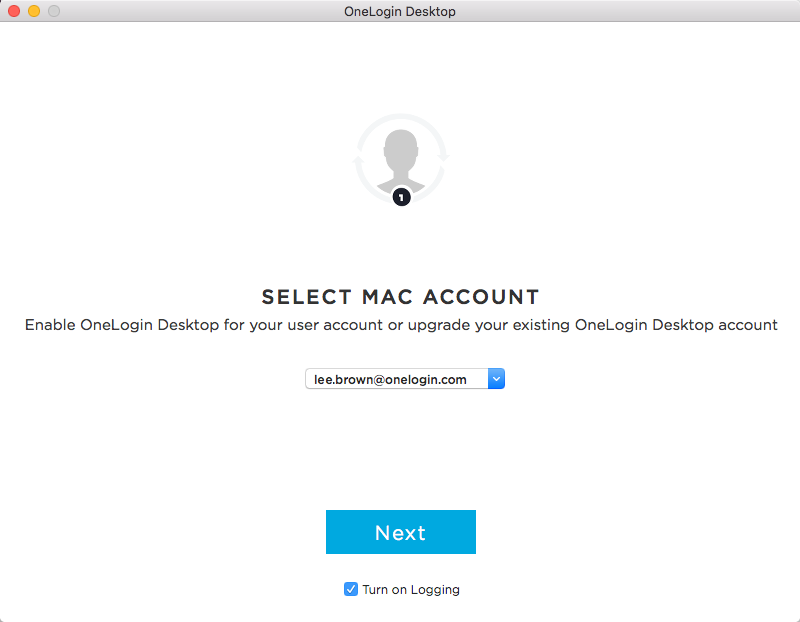 If your OneLogin Desktop account was installed using OneLogin Desktop for Mac 1.x, then you must upgrade manually. 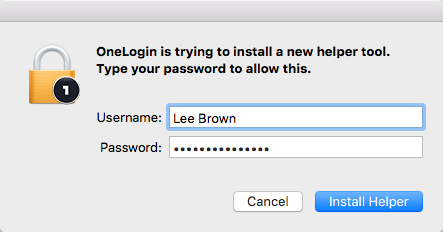 The easiest way to do this is to select that account on the Select Mac Account page of the latest OneLogin Desktop for Mac installer when you run it. 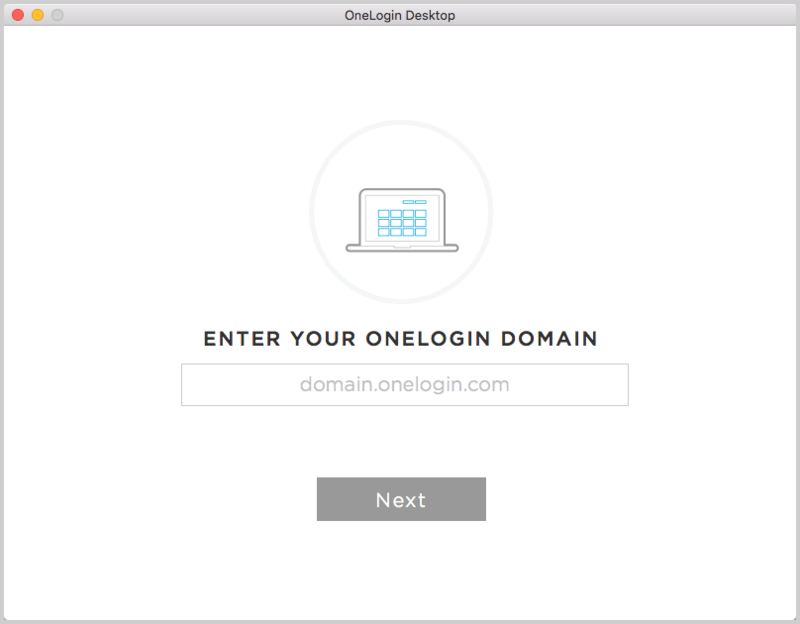 For more information, see Configuring your Mac to support OneLogin Desktop for Mac.